This low carb foods list contains a collection of food items with less than 10 grams of carbohydrates per serving. 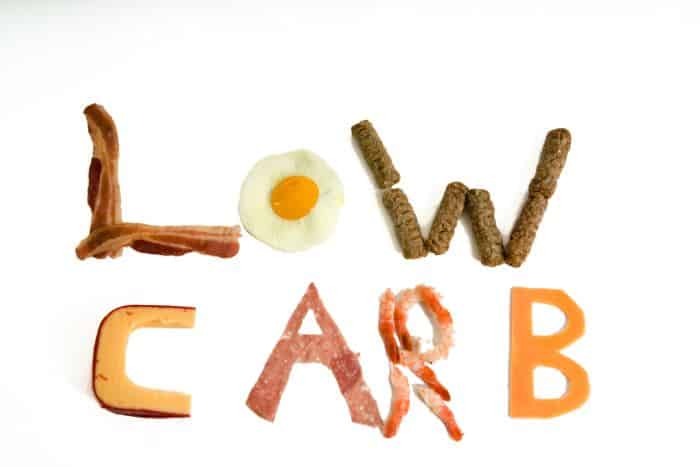 While it certainly is not a complete list of every low carbohydrate food known to mankind, it does provide plenty of options for the vast majority of preferences. This low carb foods list is organized alphabetically and categorized by food group or type. The categories include dairy & eggs, fish & seafood, fruits, meats, nuts & seeds, oils & vinegar, spreads & condiments and veggies & mushrooms. Be sure to also check out my post on muscle building foods for a list of foods that are not necessarily low in carbohydrates, but definitely high in protein. It helps for those on a more balanced diet plan. .Now, get ready to pick out your low carb shopping list! Note: The actual amount of carbohydrates may vary somewhat depending on the brand, preparation or quality (i.e. processing, added materials). The values below are for the generic, unprepared versions of the foods. Most values are rounded to the nearest gram. This low carb foods list should give you more than enough ideas for food options on a low carb diet plan. There are many ways to mix and match these low carb foods to make a diverse, nutritious and tasty meal plan. Or you might not care about taste or variety as much. In that case, choose a few complementary individual foods to make a staple part of your diet plan.